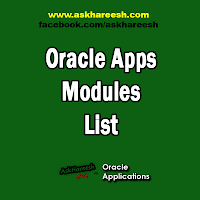 Oracle Apps is an ERP system developed by Oracle Corporation. It consists many modules, often grouped into product families. Oracle apps ERP is in use since 30+ years, initially started with oracle financials and expanded to manufacturing, logistics, supply chain planning, product life cycle management & customer relationship management. Industry specific modules are also available for Healthcare, Aerospace, Life Sciences, High Tech industries.